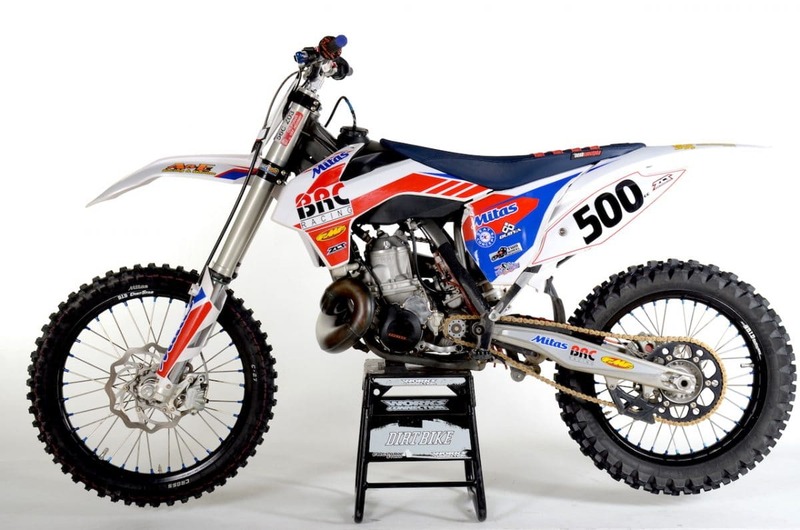 On this week’s Two-Stroke Tuesday we give you an exclusive look at a BRC Racing KTM 500cc engine conversion. This kit looks trick. We have products from Motomats and Barnett Clutches featured in the 2-Stroke Hardware section and eight premix burning machines going head-to-head in 2-Stroke Theater. 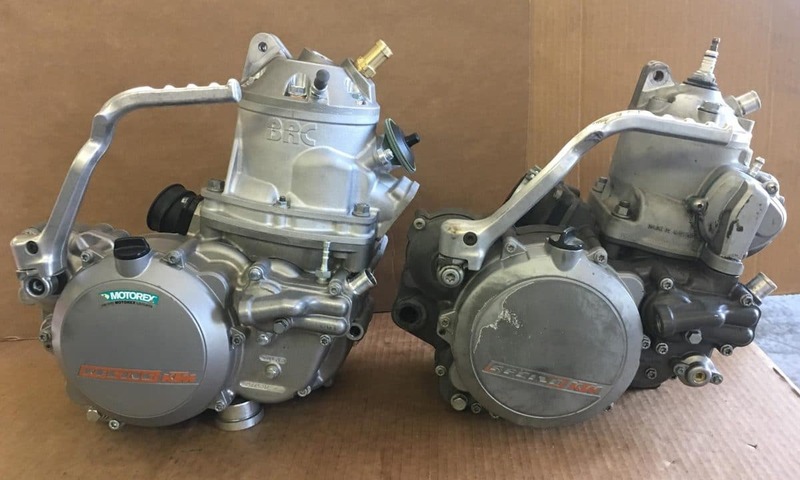 KTM big bore faithful wont want to miss the link at the bottom of this post to an insane 440cc build! 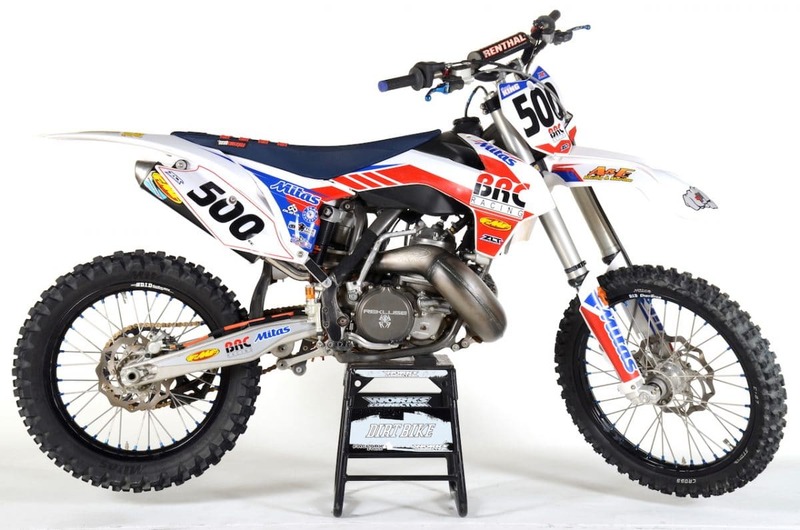 The BRC 500 is the world’s first fully modern (’07-’17) open class two stroke engine kit developed as a drop-in conversion (retrofit) for modern KTM/Husky two stroke off-road motorcycles. As a drop-in kit, the BRC 500 allows customers to build a true “custom” motorcycle. Depending on the donor engine configuration you can build a lean & mean open class motocross bike or a purpose built off-road racer with electric start, lights a 6 speed transmission and off-road armor. In a side by side comparison you can see the straightforward design approach of the BRC 500 and the comparison with the stock donor engine. Weight distribution remains comparable and rotational inertia is far less than that of a big bore four stroke. The BRC 500 kit includes everything required to combine parts from the donor engine to a case & cylinder assembly that creates a fully modern open class two stroke. Engines can be converted in-house by BRC, or by the builder of choice using the included bearings, gaskets and parts as required. 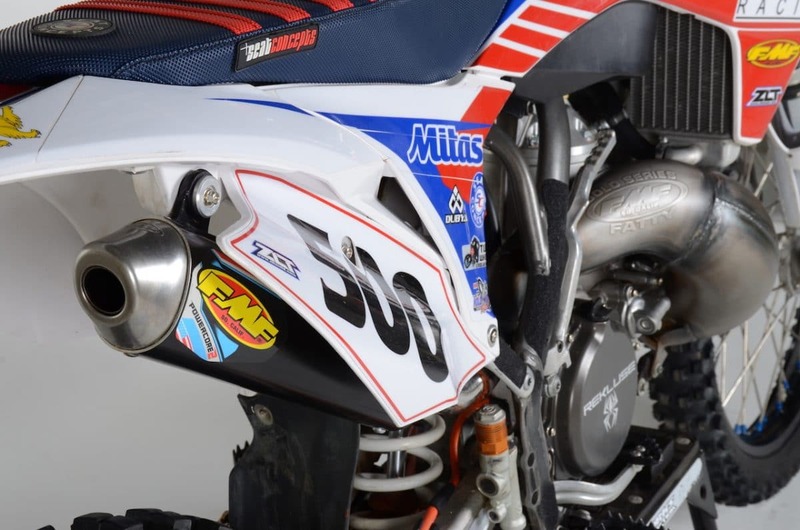 Benefiting from years of factory quality manufacturing and pipe building experience, the BRC team worked directly with FMF to design and deliver a built to suit pipe & silencer combination. Continuing on with the design narrative, the exhaust bolts directly to existing OEM mount points without the need for modification. Utilizing components from the OEM engine package and careful design & engineering planning allowed BRC to create a drop in package that matches the donor chassis, right up to the carb bell mounts and engine mount locations. The bottom end (crank/clutch/transmission/counterbalancer) features a simple design arrangement meaning straightforward assembly and maintenance. Primary drive ratios were selected to optimize the power delivery and reliability. A unique result of working with a combination of built-to-suit parts and OEM parts is the added benefit of aftermarket parts fitment. 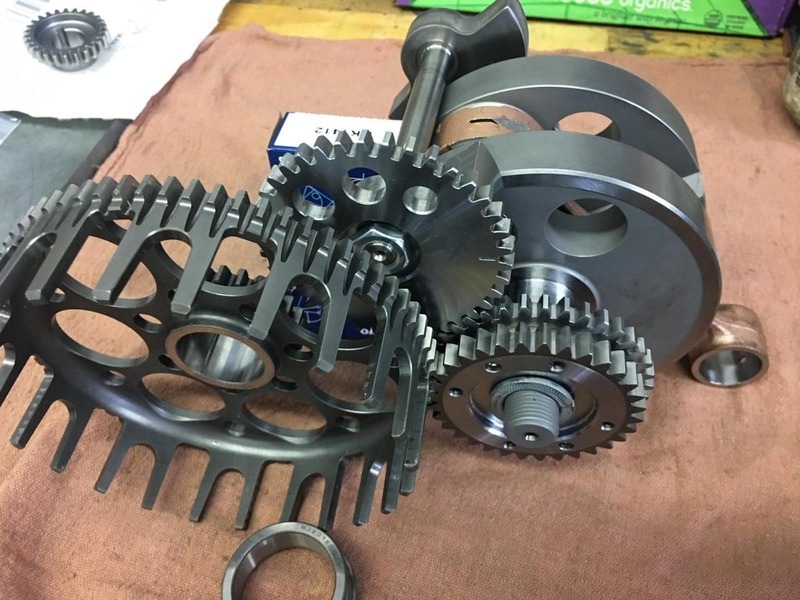 Here you can see the use of an aftermarket clutch cover and the potential for other aftermarket upgrades such as water-pump, radiator, kick starter, etc. This opens up the conversion to further customization and long-term parts availability. This machine is in the prototype stages but don’t worry you will see another version of it soon being built for an upcoming issue of the magazine. Folds up in seconds and provides a little comfort just about anywhere. 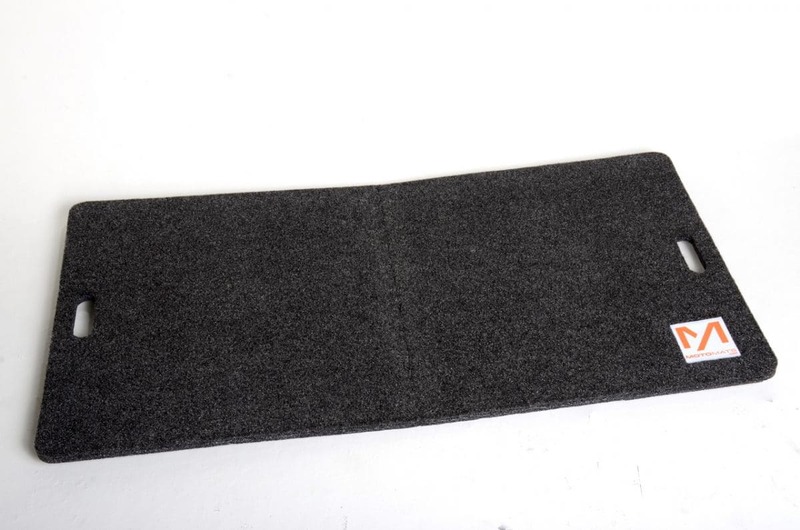 The new age of work matts is here. 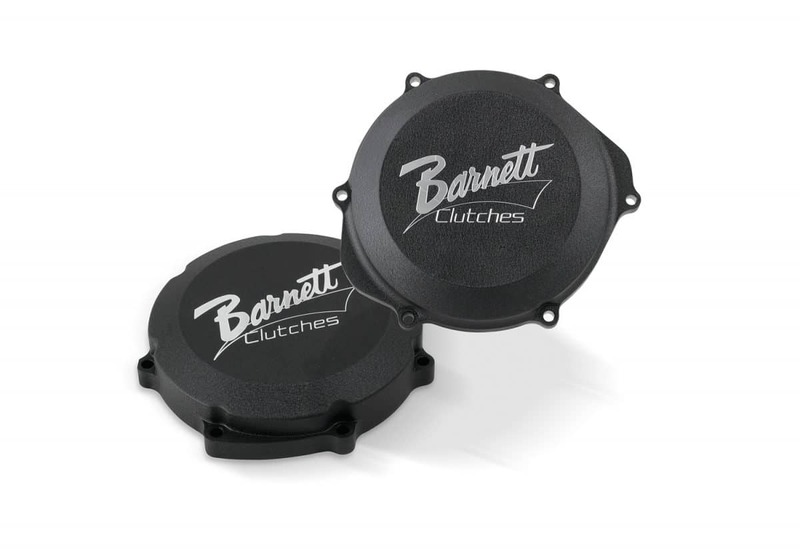 The Barnett clutch covers for off-road motorcycles and ATV’s are CNC machined from aerospace quality billet aluminum then powder-coated with a textured black finish. To finish it off, the Barnett logo is applied in a machined contrast cut. Torture tested in Baja, these covers are sure to provide added protection and great looks to any machine! Made in the USA. If you like the big bore KTM featured on this week’s Two-Stroke Tuesday then you will love this 440 KTM build. Click the image below for more.